SAMSUNG's Digital World - Samsung NP-N310 is a 15. Samsung NP-N310 is a 15.6 inch laptop comes with attractive price and outstanding features. Samsung NP-N310 featuring with Intel Atom processor N280, 1.66GHz, 10.1 inch LED HD Display, Genuine Windows XP Home, Wi-Fi, Bluetooth, Intel Wireless Display, 1024 x 600 pixels resolution, RAM 1 GB DDR2 1.66GHz , 160 GB SATA (max) 5400 RPM,Graphic Card Intel GMA 950,3 W Stereo Speaker (1.5 W x 2)Audio technology HD Audio Integrated Webcam, Wireless LAN 802.11bg/n with Intel Wireless Display. Description: Samsung NP-N310 is a 15.6 inch laptop comes with attractive price and outstanding features. 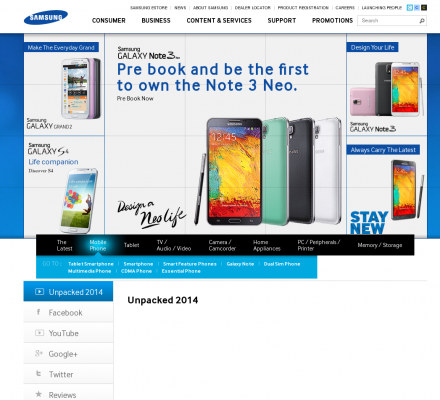 Samsung NP-N310 featuring with Intel Atom processor N280.